When you ponder if you’re good enough, worthy enough, or even talented enough, I think it’s worth remembering you are uniquely you. No one can do any task, role, or job just like you. You may come across kindred spirits or friends that have much in common with you, but no one can be exactly like you. So before you continue to measure yourself, compare yourself, or simply doubt yourself, remember you have a unique ability that only you bring to the table. You entail your own strengths, perspective, and style. Your smile, your laugh, and even the place of some freckles. Even twins have distinguishable features. There is room for a variety of contribution in this world. What a boring place it would look and feel if we were all moving around and looking the same! When I was growing up, I was lucky my mom pretty much let me pick out my clothes and dress myself. Looking back at pictures, that clearly showed through. I have to admit I may have come off pretty tacky at times, but no one else had my style. From the way we fix our hair, to the way we wear our clothes, we could be more encouraging and do more to embrace each other’s uniqueness. When I notice people making fun of how others dress or look, I think we are disempowering ourselves. When we do this, we reveal our inner judge and critic. Maybe this is their sense of style. Maybe it’s all they had available to wear. Perhaps they were having a bad day and that was the best they could do at the time. Maybe they don’t look in the mirror and try to please other people. We have plenty of ways we can help and uplift each other without cutting down our appearances and feelings. The next time you’re in a store and perhaps someone has their pajamas on, give them a smile or high five for courageously being themselves. Be happy they are able to be in the store and make purchases to begin with. Some people out there on limited budgets have to miss out on those luxuries we may take for granted. I certainly think it would feel a little weird if everyone showed up looking like me. We can appreciate our differences and uniqueness as we all add special ingredients to life. Our attire, our cars, our jobs, our homes, and our hobbies are all uniquely for our own choices. Sure, it’s fun when you encounter people that enjoy similar things. I’m just pointing out trying not to lose sight of the beauty in our differences and diversity. The next time you’re up for a job, or meeting someone new, or perhaps questioning your appearance before you leave your home out into public, remember your unique strengths. You have a beautiful uniqueness no one else can occupy. For example, let’s use the possibility of new job or position for instance. You may find yourself not getting picked for the position. Rather than feeling not good enough for the position, you can feel like the position wasn’t good enough for you. You want to embark on things suited for you. There is a straight line to misery when you try force something that isn’t for you. Your unique strengths give you an advantage of what you offer. Carry this confidence in your heart and if the position or situation doesn’t work out, you can be grateful that a more unique opportunity for you is on the way. Changing the energy of feeling unworthiness or something being wrong with you to feeling vibrant and uniquely you can open space for more empowering energy and opportunities. It’s a feeling and a blessing to carry with you. You are uniquely you! Often our yes is more than an answer or response. It is often an opportunity. An invitation to a journey. A journey of experiences, lessons, and growth. It is a gauge to help you towards the direction in which you intend to go. We say yes when we are ready to learn. When you say yes, it certainly doesn’t mean that you are ever fully ready or know how things will go. Yes is the opening of a door. Perhaps many doors. No guarantees, but there really aren’t many in flow and energy in life. It helps to be cautious with the expectation of yes. Yes is where you intend to go, but I think it is helpful to understand that all yeses come with a journey that can be full of ups and downs. The important thing to note is the opportunity of yes. It can be an avenue to a successful business journey. You will learn over time from your yes what works and often what doesn’t work. Saying yes is an invitation to the opening of what is possible. Where no simply shuts all doors, yes allows. Yes is an opportunity to be more understanding and more open to life. Yes allows the energy to move in the direction of our dreams, hopes, and desires. Yes can also move through failures to your success. Think of it this way: When a baby is first learning to walk, just because he falls several times does not mean he/she won’t ever walk. Just because you have a fight with your significant other doesn’t mean your relationship has to be over. It’s an opportunity to say yes and continue to try and move forward. Yes is allowing yourself to be less rigid. Energy can flow better when we don’t try to block the flow. Yes can use the energy to leverage the universe. How can you attempt any new career, idea, or dream if you aren’t willing to say yes? Yes opens the space to be picked by ideas and inspiration. When you say yes, you certainly don’t have to have all the answers to move forward. Most often that is impossible to know. Until we are all given a crystal ball in seeing the future, we have the unknown to rely on. There is such beauty in the unknown as well. It can feel shaky, but how boring life would be if we could see the entire staircase! We would kill our desire to strive and accomplish anything right there. What would be the point of moving if we knew how the whole movie would play out? Yes is a step. Yes is a try. Yes is a permission slip to the journey. Yes is embarking onto a path. And though there is also great power in when to use the word no, we often throw it out before thoroughly considering the yes. 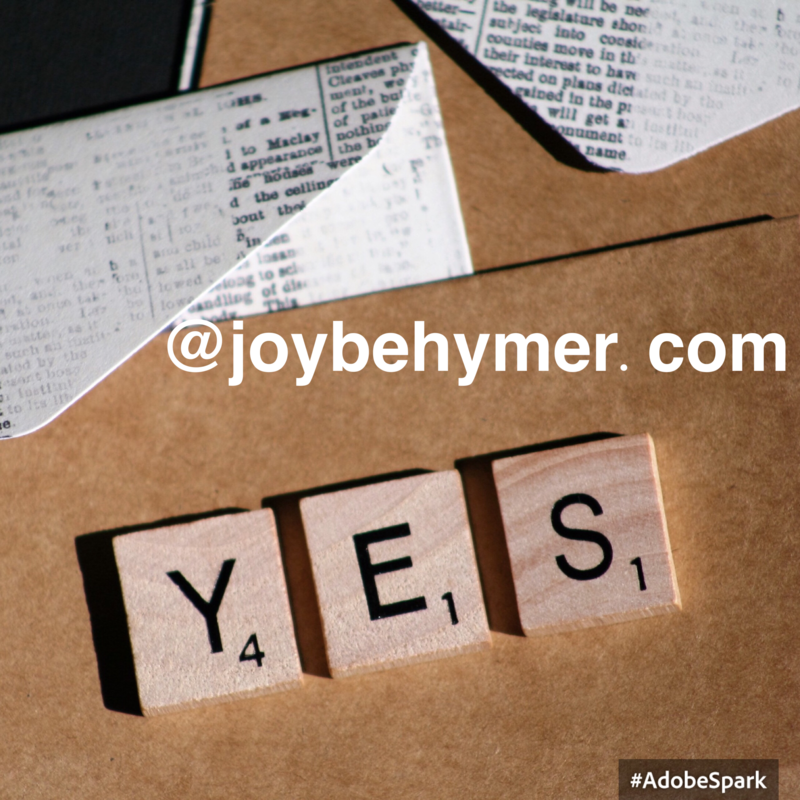 We can get into a bad habit of automatically saying yes or no. When we do this, we miss so many options and opportunities and blessings in life. We need to take time to consider things before a quick response. I have a tip that has helped myself and many through the years. Anytime you are proposed an opportunity in anything in life, before saying yes or no, think about it. Give yourself the space to see and feel if the fit of opportunity is there for you. I certainly think we should all give ourselves that space before any decision. When we answer on the spot without giving it some room in consideration, we can regret our answer. Tell the other or others you will have to take it into consideration. You reserve the right to figure out what is best. Once you give it a little time to examine and contemplate, you can allow the space to receive guidance and information. Explore the opportunities of your yeses and noes. Will the yes be the direction you are wanting to head? You won’t have all the answers to begin with. Your yes is the beginning. When you say yes, be ready. You are granting access to infinite energy. You open up a portal to a journey and lessons. Be aware of the opportunities and beauty of your YES! Many of us struggle with anger from time to time or perhaps habitually. There are times that anger can be positive if it motivates you towards positive change. Often though, our anger is self destructive. Anger is a natural energy of emotion. It is designed to protect you from danger. It is ideally set up as a warning system to protect us and provide us with the energy to do something about it. The problem we can develop with anger is when we adopt it as a frequent reaction, or build it up on the inside. Unresolved anger can play out in our lives in torturous and unhealthy ways. Our mind can be our friend or our enemy. Our brains are very powerful and our imagination is what creates our experiences. It is helpful to be aware of what your mind habitually is imagining. Especially when you struggle with anger often. It can act as a slow poison to your system. Anger indicates what your mind is thinking or imagining. It is the barometer of your focus. The root of anger often stems from fear, self judgement, comparing, worry, and self abuse. It can take some focus and awareness to look deeper into the causes of your anger. It often comes from and builds from your internal dialog, imagination, and beliefs. To reduce our anger we need to identify patterns, notice what your mind is practicing, and especially your self-talk (what you frequently tell yourself.) This can help you dissolve patterns and shift some beliefs. When you are feeling or experiencing anger, step back and notice what your thinking. Is it from an unmet expectation? Physical or emotional pain caused by a person or event? Could you be suffering from frustration? Many times our imagination creates unnecessary worry and builds worst-case scenarios that consume our mind. When we dwell in anger we cultivate more trauma for ourselves. When we remember pain and replay distressing events, we lower our emotions to that vibration and repeatedly experience the pain building into more anger. Being less angry takes time and practice. Practicing and redirecting your focus more regularly helps change your anger into peace and enables you to let it go. You can approach it many ways and explore what may work best for you. The simple act of awareness is a powerful step. It helps give you a grasp on which way to refocus/pivot. This one may initially sound outlandish, but accept and acknowledge your pain. Since pain is unpleasant we often avoid it at all costs, but it has to go somewhere, and hiding it on the inside or burying it causes problems to our physical and emotional health. Accepting and feeling our pain helps us to heal and move through it. Be gentle and love yourself when you are experiencing pain and anger. Your body communicates with you on what it needs when we learn to tune in. Being loving to yourself as you work through it helps you transform it. Deep breathing. I cannot express this enough. Not only can this be a simple tool to calm you down in the moment, it also counteracts what pain and anger do to your body. Some of us need literal exercises to feel more of an impact. You can write a letter to work through anger. Perhaps you need to write a letter of forgiveness to let it go. Forgiving doesn’t mean it was okay; it just means bringing peace onto yourself. Affirmations work well when practiced over time. We need to feel what we are saying to ourselves for a more powerful effect. For example: “I’m choosing to let this situation go for my health.” Another one can be, “I choose to move past this circumstance.” You may need to practice it a bit, but try it. You can also have a breakthrough by visualizing yourself releasing the pain, hurt, and anger. These are just a few examples of simple tools you can implement to help you through your struggles with anger. I’m not saying you won’t ever experience anger, but if you are struggling with anger regularly it can be affecting your life in negative ways. It can affect your health and how your body heals. The more of a positive mindset you can maintain more regularly, the more you can actually boost your immune system. Over time I hope you can help yourself to use your mind and imagination to empower yourself instead of suffering with anger. If you practice your changes, I believe you can experience less anger and live more joyfully. 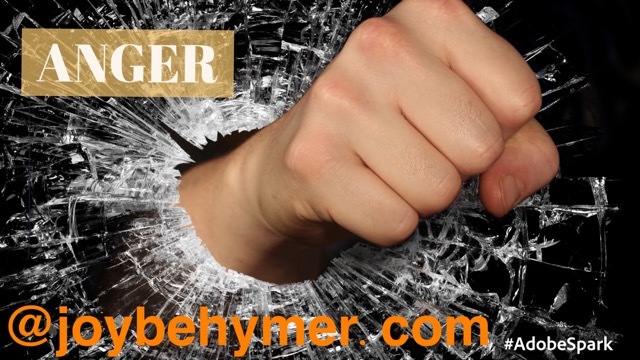 I won’t promise you that you’ll never experience anger, but when you learn to be less reactive with it you can use these tools to move through it quicker and transform it in more healthy ways. Ideally it would be beneficial to work with our emotions to help us rather than harm us. The less anger you feel, the lighter you become. It can be like removing an anchor, unchaining your feet, or perhaps opening your heart. Many of us may think of grief when it comes to death, but grief comes in many packages and sizes. We grieve not only in the loss from death, but the loss of relationships, loss of a marraige, the loss of a job, and loss of expectations. 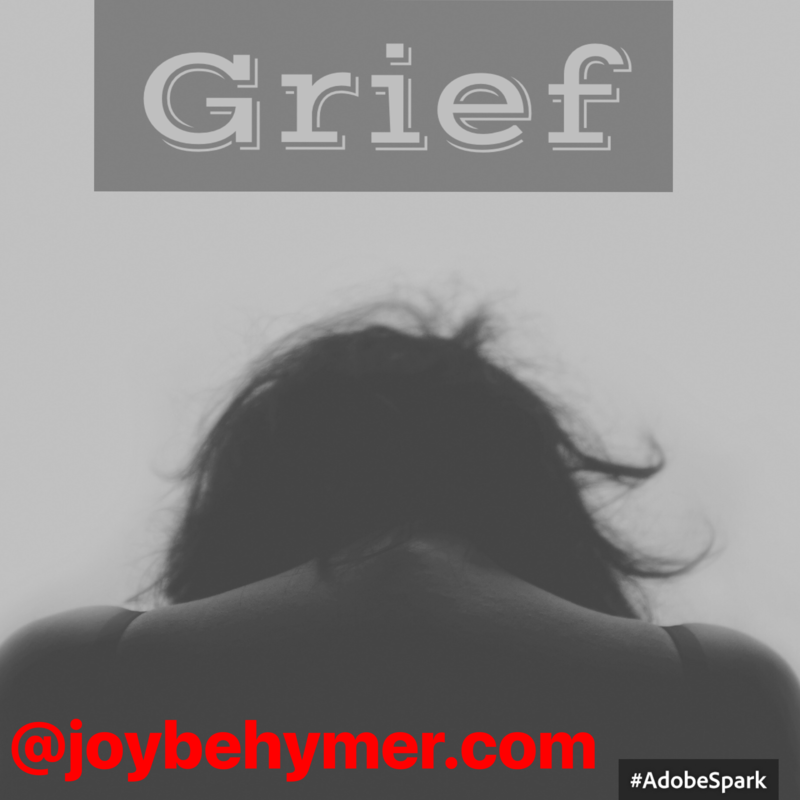 Many times in life we find ourselves dealing with grief in one form or another. We don’t always have the language and tools to express ourselves and heal. Grief is like a storm of emotions you didn’t know was possible. Grief is hard to describe because it’s felt and experienced so differently by everyone. I remember hearing someone describe grief like an onion, each comes apart differently. Grief takes you to a depth seemingly impossible. In the midst of grief we struggle to see our way out. A moment when emotional pain feels physical. A stab wound come to life emotionally. No matter what our titles, accomplishments, or roles we carry around are in life we all are stripped bare naked within grief. It feels like time standing in the midst of an illusion. Regardless of our roles, titles, and accomplishments, in grief we all experience this humanness. This place of depth deep within. An experience and feelings you could not have imagined. Life jerking you into the present. An elation of rawness. Exposing something in your core. It can not be measured nor assigned to time. It flows and experienced differently by everyone it meets. It seems to have memory that knows no time or space and can be transported at a thought’s glance. The surreality about grief is during the midst of it, life moves on. All around you. You may be able to even notice the differences in the vibrations of life simultaneously. It’s like scrambling our way out all the while noticing those around us being “normal”. Acknowledging how we took the day before for advantage. Grief is normal. It is part of our human experience at times. We can heal from it. We can gain strenth from it. We can also find the gifts within. You can choose to allow it to take hold on the inside. Some struggle letting it go. Some fight it. I think some sew it to the inside of their soul. There really isn’t a right or wrong way to handle it. I do believe it will change you. How it changes you and what you do with it is up to you. Friends can help. Counseling can help. Love can help. Time can help. Sharing and compassion can help. Many tools can be implemented for feeling and healing. Often it’s the miracles that show up. The blessings in people that help. Our friends and family who help uplift us, hold us, or simply give their presence. We don’t always know what we need to heal and move foreword, but like life it’s a journey. Each day of grief will be different. Some days will be easier than others. It’s often about allowing the measurements, expectations, and how it should look like go. Letting it be what it is can be an empowering energy to move through it. It can be a demonstration of how much you love. I’ve learned to give grief it’s time and space. It is especially worth while to remind myself it’s temporary. As other grief has came and gone through in my life, I do move on. I will experience joy and happiness again. It won’t always feel like grief. It’s welcoming it and allowing the energy through. To stay can be damaging. We can pass that energy on to others or simply just continue torturing ourselves with it. I think it’s good to remember we are allowed these emotions going through life. It’s part of processing and accepting things that have happened. It can eventually become a beautiful metaphor of living life. Getting the rainbow after the storms. The promise of hope, and moving on to tomorrow. It can be a fierce reminder of each mundane day as a gift. Empathy. I’ve always felt very empathic my entire life. I feel emotions of others in a strong and strange way. Communicating with other people has been very easy as an adult, but not so much as a child. As a child, the experience was overwhelming. I was shy and wasn’t always sure about expressing myself. I’ve learned through life experiences, both extremely good and bad, how to open up and share my empathy. Maybe not always in the best of ways, but I feel like it’s a part of me that I experience out in the world. Especially in my careers. I cannot or can’t always explain it. I do explore it in reflection and in writing. It is a bit in how I live with it. I do feel I’m not alone and many of us do not know how to deal with it and express it. To give it a name and simply put our finger on it. I try to allow some of the energy of my empathy to move through me, and then share it. I try to put into words what I pick up on and what I have a hunch in the things/feelings that many of us experience. I understand we all have a different perspective in what and how we experience in life. It can be challenging trying to describe life with language. I do however feel I have an interesting and unique perspective on how I experience it. In my spare time, I try and attempt to translate this empathy in my writing. It’s a practice. It evolves and develops. Maybe it’s my strength and maybe it’s my nemesis; I haven’t fully decided. It does allow me a deeper connection with people. Or at least I feel so. I don’t always know what to do with it, how to process it, or how to describe it. I do explore different avenues to express it. For a while now, writing has been a helpful and joyful outlet. I suspect we all have different gifts to share. Taking the time to be authentic to yourself and explore ways of expressing your inner self is probably worth your while. We don’t always experience the encouragement to shine or explore our passions and gifts. We can get caught up in the expectations, goals, and accomplishments instead of what we truly desire to know and share. I’m the first to admit it happened to me too . I didn’t start exploring and understanding myself until probably my late 20s and on into my 30s There are no set rules or explanations for how and when you should act, uncover, or simply try to understand yourself. I just like to share some of my experiences and encourage yours. To always remind you that 1) you’re not alone and 2) it’s okay to be unsure and explore. Perhaps if I live to be an old woman, I will have a different perspective by then as well. I suspect I may even say that the exploration never ended. Especially since we are always moving, evolving, and changing with the experience in our journey in life. If you are already lucky enough to really know some of your inner truths and gifts/strengths of yourself, how wonderful. Please take the time to hone in, honor and share your gifts. It’s your strength. You can already use that in what you are already doing every day. If you feel like you are in situations or circumstances (like your job, for instance) that you struggle in shining your authentic light, you can explore some other options. You might not currently be in a position to up and leave, but in your spare moments you can utilize some other tools and avenues for your expressions. 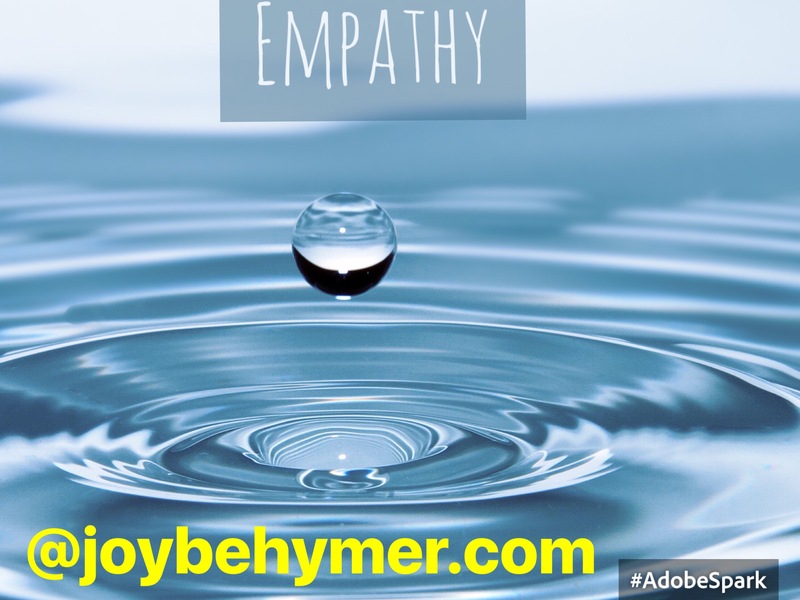 I feel blessed that I get to use my empathy in my business with my clients and express it through my writing. I certainly hope I can bring it to the table when I am present with my family and friends. Not perfectly, but as close to my empathic presence as I can be. I encourage you to explore your gifts and light in whatever ways you can. You may be a great listener, healer, teacher, caregiver, leader, or encourager. The more you infuse life with your energy, I believe the more you receive in return. You are more powerful and successful in the world when you bring your authenticity. Allow it, shine it, and let it pull you where you need to be. Trust it. It is your gift.